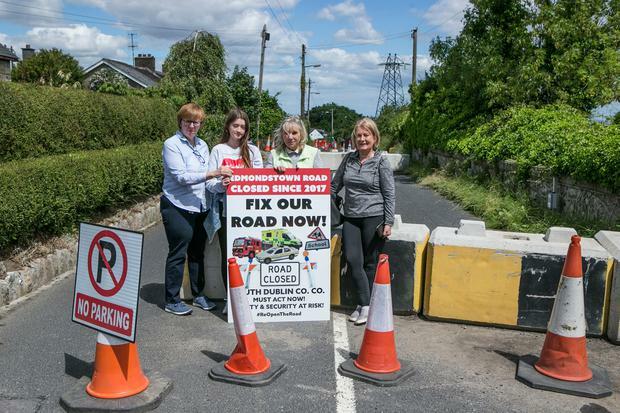 A small community in south Dublin have become enraged following the closure of a key road in the area almost 8 months ago. Edmondstown Road, a road that has been called the “gateway” to the Dublin Mountains, lies on the outskirts of Rathfarnham in Dublin 16. 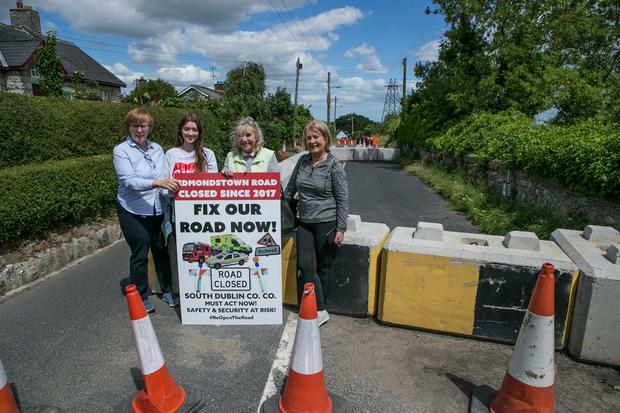 The road was closed by South Dublin County Council (SDCC) in November 2017 following alleged unauthorised excavation works, hindering residents from going about their everyday lives. “We are the forgotten people,” one local Valerie Keogh told Independent.ie. 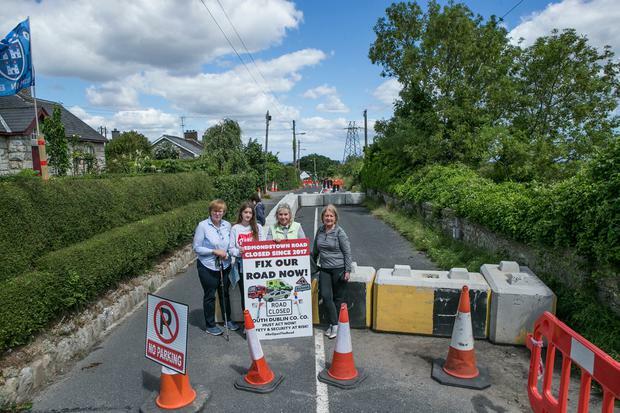 “South Dublin County Council erected barriers and closed the road. They have done nothing on the ground since. They say they have done soil testing, we have seen some of the test holes being dug and covered up. No information has been relayed back to the local community,” Valerie claims. “The local community are host to the Dublin mountains. To all the visitors that come to the Dublin mountains- the tourism business, summer camps, funerals, sporting clubs, Gaelic clubs, and all the amenity users of the Dublin Mountains. According to SDCC, the road was closed for “safety reasons”. 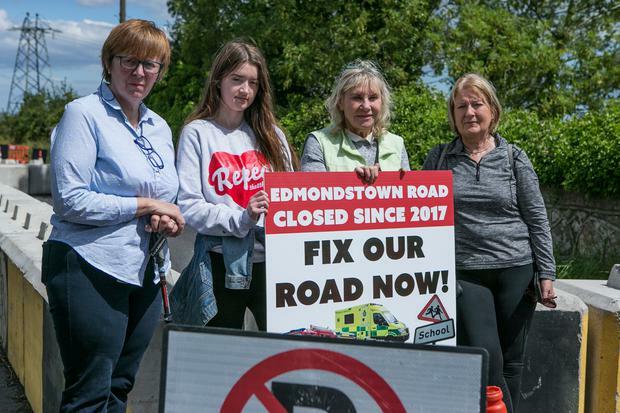 “In relation to the ongoing closure of Edmondstown Road for safety reasons, the council have continued to progress discussions with the representatives of the landowner, at this stage the County Council’s Engineers have agreed the design provided of the works needed to repair the slope,” they said. But locals who are spending an extra 20 minutes per journey just to buy a loaf of bread or a pint of milk are frustrated, and say they want the road to be re-opened as soon as possible. “If I go to buy a pint of milk, it’s an extra 10km a day,” said Miriam Mason. “Emergency services have been diverted down to the other end of the blockade. They have to do a 5km detour for very serious accidents, so it puts people at risk. It puts their safety at risk. “I estimate I’m doing about 240km extra per week, just on general day-to-day running. We live in a rural area, there’s no shops. Those of us who are commuting have to leave about 20 minutes earlier in the morning, as if we’re not leaving early enough already. Businesses in the area are also seeing the side effect claims Valerie, who is the co-owner of Tibdradden Farm Cottages less than two miles up the road. She said that when the road first closed, guests who were supposed to arrive from Germany at 8pm didn’t arrive until 4am the next morning because of the detour they were forced to make. “Google maps sent them over to Blackrock, over to Walkinstown and back then. Eventually we found them,” she said. A spokesperson for SDCC told Independent.ie that “legal action” was underway and they hoped to reopen the road as soon as possible. “Legal action is underway in this matter with the objective of the Council that reinstatement works leading to the reopening of the road are commenced without delay,” they said in a statement. Local Fianna Fail TD John Lahart said that he “fully supports” the locals campaigning to have the road reopened as soon as possible. “The council’s decision to now commence legal proceedings will mean that the road will likely remain closed indefinitely. In fact, there is no telling how long a legal action will take or if it will even be successful. “Meanwhile, local businesses continue to be adversely affected by the closure and local residents are justifiably frustrated from being discommoded. “The fact is that if this was in any other location or more of the public were directly affected, action would have been taken more swiftly but because this is a predominantly rural area, some politicians don’t seem to be fazed. The women are doubtful that the road will be reopened soon but are hoping their actions will show they’re not backing down. “We’re holding a protest march on June 30. We’re all very concerned that we’re no closer to reopening, its 8 months in now,” said Margaret Karney.